Colin Kaepernick is an American football quarterback who gained nationwide attention when he began protesting what he viewed as the oppression of people of colour in the United States by not standing while the United States national anthem was being played before the start of games. “Nike’s market value has risen by $6 billion since its controversial decision to feature former NFL quarterback Colin Kaepernick in its new ad campaign, CBS News reports. Shares are up over 36% for the year, nearly 5% just since the ad’s launch. 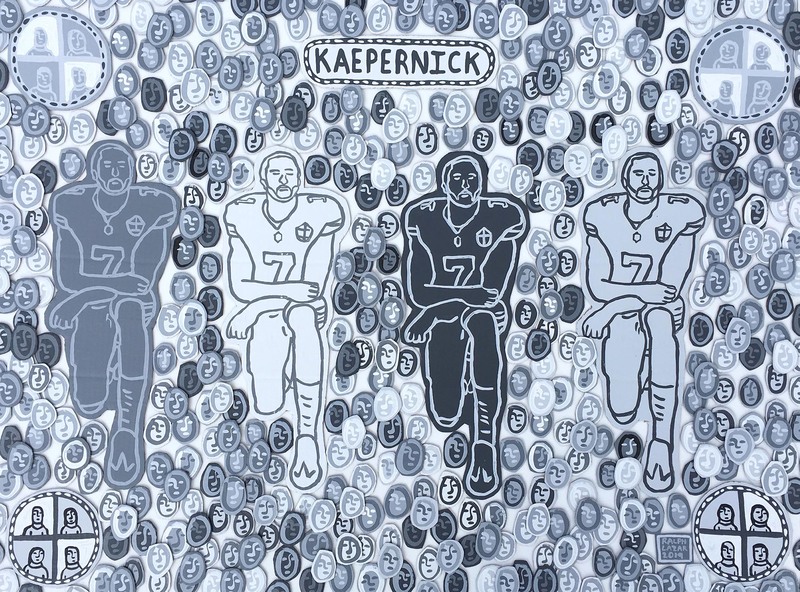 Kaepernick is known for being the first NFL player to take a knee during the national anthem back in 2016, kicking off a movement against racial inequality that’s faced criticism from all walks of life, including the president. Embracing the controversy, Nike made Kaepernick the face of its campaign celebrating the 30th anniversary of its “Just Do It” slogan. Angry critics almost immediately began cutting up their Nike socks and burning their Nike sneakers. The sportswear giant’s stocks took a 3% dip early on, a $4 billion loss. But after a bumpy start, Nike’s campaign has certainly paid off: in mid-September, its stock hit a record high, with products selling out more frequently. Long-term investors are seeing the benefits of having Kaepernick on board. Nike is, after all, the world’s 18th most valuable brand according to Interbrand, and the Kaepernick controversy created free press.